Welcome to Heidi’s Blog! 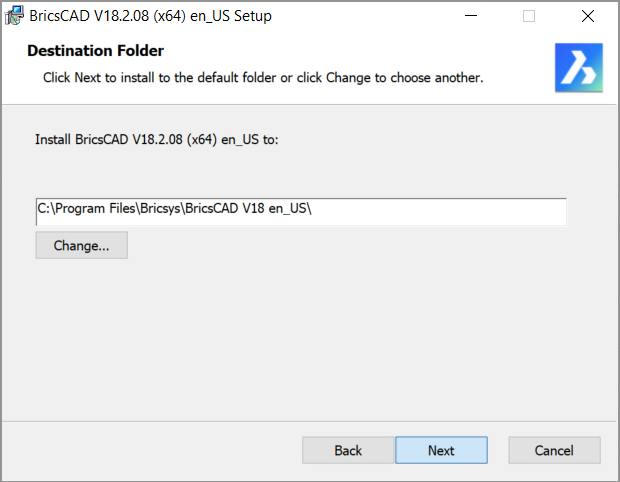 You may have read in my previous post that I am a long-time AutoCAD user transitioning to BricsCAD. 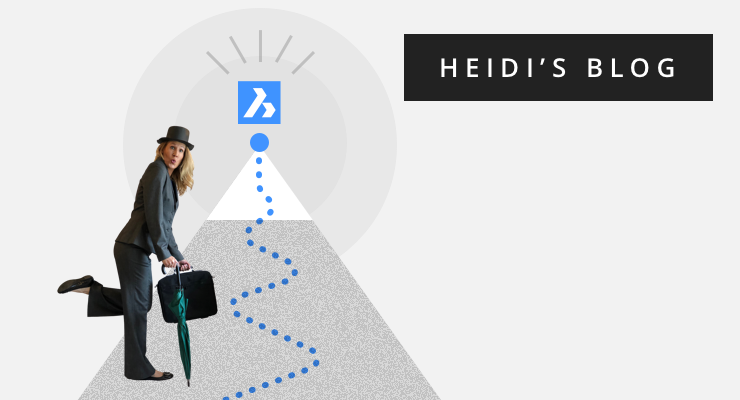 I hope you’ll join me as I embark on my journey through the land of BricsCAD! 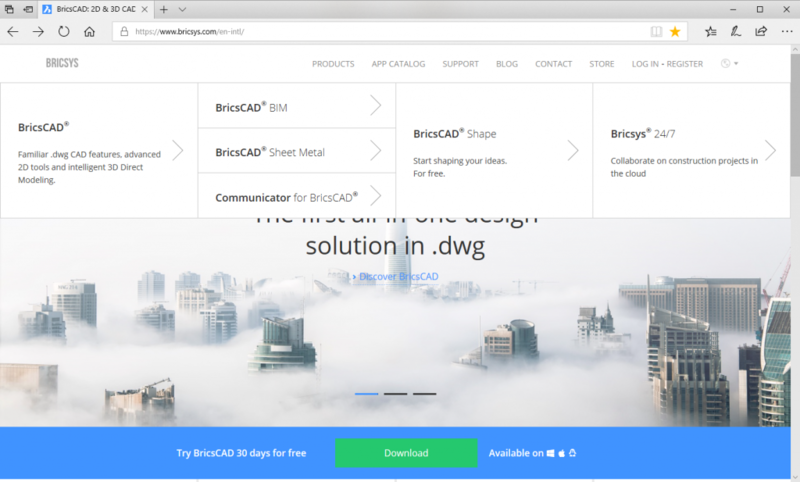 Our first stop is the Bricsys home page where you can download and install a free trial of BricsCAD (among other great applications). When you visit Bricsys.com you can explore the different design solutions under the Products link. I’ll introduce you to some of those apps later. My focus for now is BricsCAD, which you can easily download from the link at the bottom of the Bricsys home page. 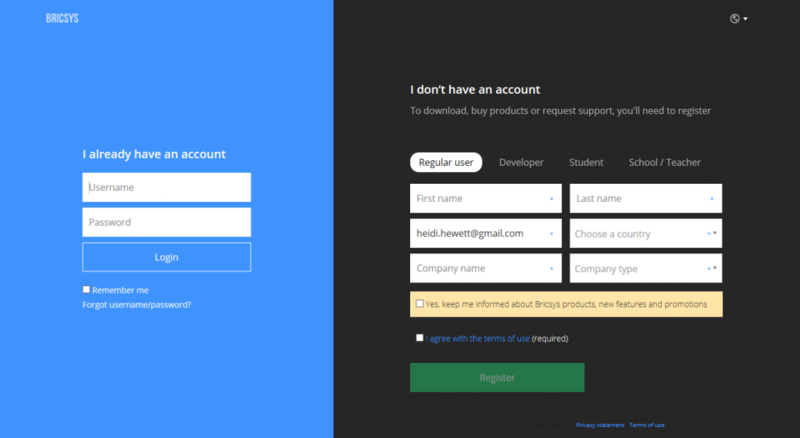 If you haven’t yet created a Bricsys account using the email address you entered, you can create one or enter a different email address for which you’ve previously created a Bricsys account. Then you’re ready to download! You may have the option to Run the install as soon as it downloads or save the download to install later. Based on experience with other CAD software, you may automatically want to save the download first and then install it another time. Why do you do that? The download and install of some popular CAD applications takes a significant amount of time. 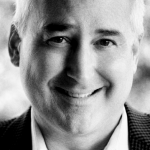 So, you separate them into two tasks that you can squeeze into your busy workday. No need to squeeze with BricsCAD! It’s fast! 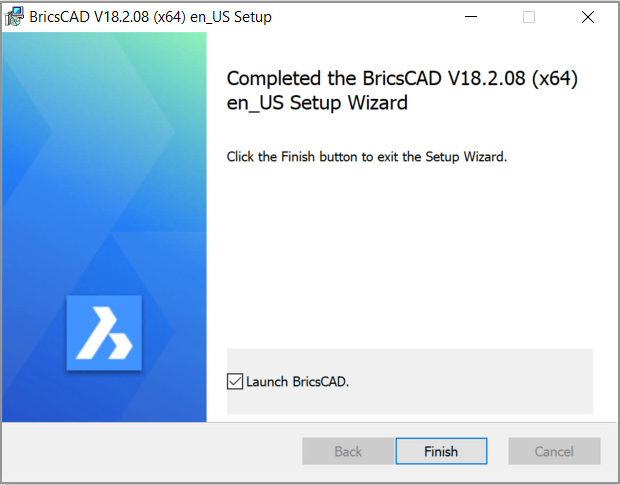 You won’t even have time to grab a coffee during the few minutes it takes to download and install BricsCAD! You’ll just have to find another excuse for your coffee break. In fact, BricsCAD downloads and installs so fast that many newbees, like me, try to download it multiple times thinking it’s failed! Rest assured it’s just THAT fast! So, feel free to save the download and install later, but don’t let time constraints be the reason why! I prefer to get it done, so I choose Run! On my system, with a wireless connection, it took about 1 minute to download. 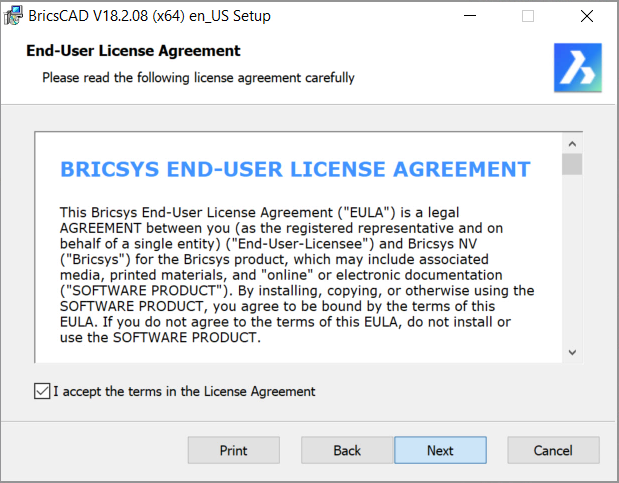 When it finishes downloading, the installer prompts you to accept the license agreement and install location. 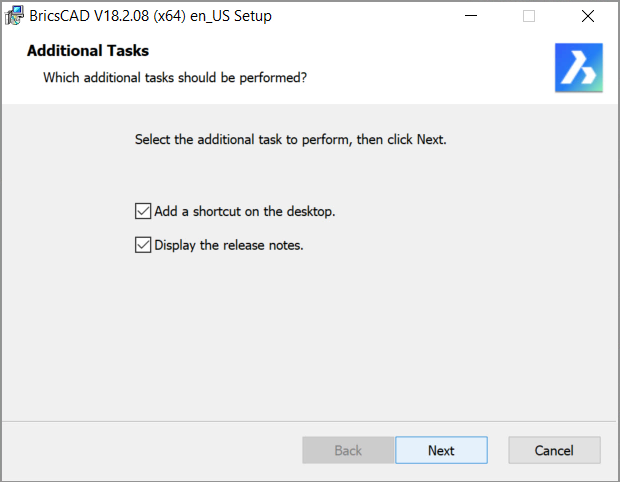 You can also choose to add a shortcut to the desktop and automatically display release notes when the install completes. And for those of you considering a move from AutoCAD, notice the options for file associations. I expect those look familiar to you! If you’re sitting right there ready to respond to those prompts, the install only takes about one minute. So, don’t be tempted to take that coffee break just yet! 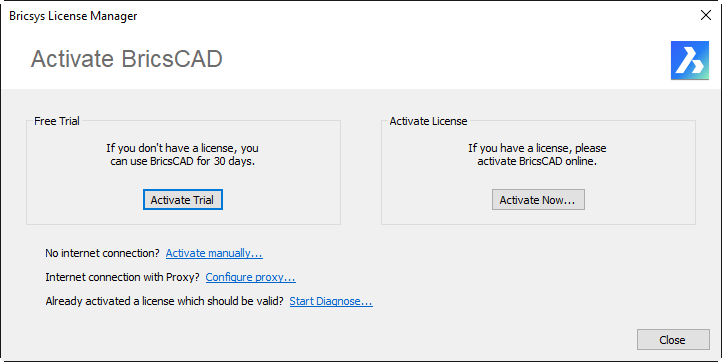 When BricsCAD finishes installing, you can choose to activate it using the 30 day trial or enter a valid license key. 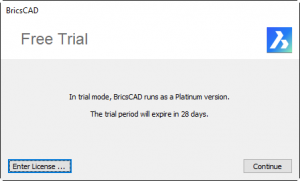 If you choose to activate the trial, each time you launch BricsCAD you’re reminded how many days are remaining in your trial and you’re offered another opportunity to enter a valid license key. Thanks for joining me on the first stop of my journey to BricsCAD. I hope you had the opportunity to install the trial and will follow along as the journey continues! Have a specific (technical) question? 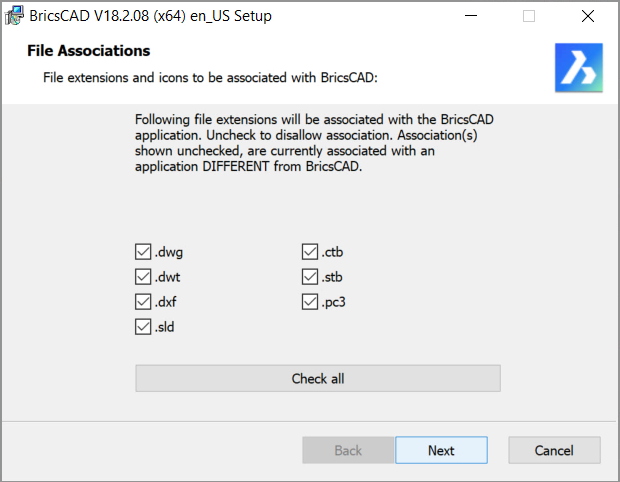 BricsCAD Journey – Part 10: Drawing with Styles! The BricsCAD install couldn’t have been easier. I’m also a long-time AutoCAD user and all my drawings have opened in BricsCAD without a hitch. I’ve not noticed any missing content. Now to start using the features and looking over the tutorials. on drawing entities you say many times “works as expected”. Some of the features I have not used in Autocad lately so I do not know how they are expected to behave. I’m just saying it would be mice to say how they work, what exactly is working as expected. Hi Steve. Thanks for your comment. You make a good point. Unfortunately, if I describe how all the features work, my blog posts would quickly become a book. As far as Drawing Entities, most of those features have been in AutoCAD for many years, even decades, with very little change. 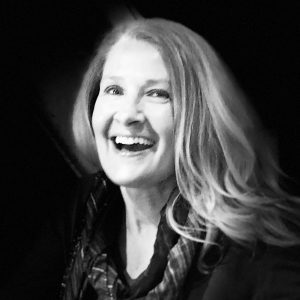 If there are any specific features you’d like to learn more about, please let me know. I’d be happy to write a future post or point you to existing content. And I’ll keep your feedback in mind as I continue to write about my journey through BricsCAD. Hopefully I can offer a bit more clarity even I can’t go deep into any of the features right away.